A Detroit-area mom whose daughter died of bacterial meningitis is asking universities to require that students get the meningitis B vaccine. 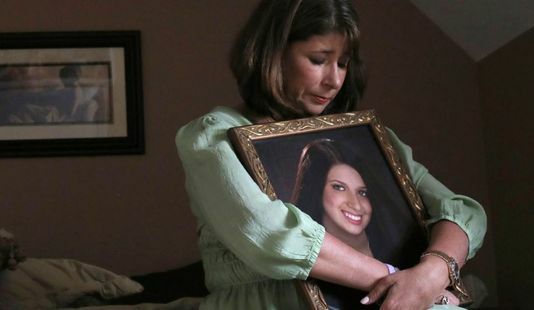 Alicia Stillman’s 19-year-old daughter, Emily Stillman, died of the disease in 2013, when the vaccine had not yet been approved for use in the U.S., The Detroit News reported. The vaccine was approved in 2014. “I remember taking the buses to Canada to get my other two children vaccinated because it wasn’t approved in the U.S. yet. If it had, my daughter would still be here pursuing her dreams,” Alicia Stillman of West Bloomfield said. She started the Emily Stillman Foundation in 2015 to raise awareness about the meningitis vaccine. She wants students at Big 10 universities to be vaccinated against meningitis. Health care organizations, including the Michigan State Medical Society, have joined Stillman’s effort. “Meningitis B is a deadly disease that’s especially dangerous for college students, but it can be prevented,” said Betty Chu, president of the society. “Students and young adults are among those most likely to contract meningitis B, especially in settings where students are living in close proximity to each other and sharing drinks and food. Indiana University and Purdue University began requiring the vaccination this spring. The University of Michigan and Michigan State University recommend the vaccination but haven’t made it mandatory. Meningitis B is spread through saliva and nose secretions, Stillman said. Symptoms include fever, nausea, vomiting, headache, a stiff neck, joint pain, confusion, sensitivity to light and a red or purple skin rash.